Are we ready for tech-led future? Israeli author Yuval Noah Harariwas in Shanghai recently to deliver a lecture on what it means to be human in an age when algorithmis merging big data and biology. In 1897 and 1898, French artist Paul Gauguin created “Where Do We Come From? What Are We? Where Are We Going?” to understand the meaning of existence. The questions seem to be as pertinent today as it was then as we near the next stage of evolution in history. “The evolution by natural selection is over,” declares Israeli author Yuval Noah Harari as he delves on what it means to be human in an age when algorithm is merging big data and biology. “With the advance of science, we are likely to replace natural selection with intelligent design as the fundamental principle of evolution. Not the intelligent design of some god above the clouds, but the intelligent designs of the iCloud, the Microsoft cloud, or the IBM Cloud which will control the future evolution of life,” he says. The 41-year-old historian, who was recently in Shanghai, is the author of two international bestsellers ─ “Sapiens: A Brief History of Humankind” (2011) and “Homo Deus: A Brief History of Tomorrow (2015),” in which he reexamines the history of our species from a fresh perspective and looks at what might happen to the world when these old myths are coupled with new god-like technologies such as artificial intelligence and genetic engineering. About 70,000 years ago, organisms belonging to the Homo sapiens kick-started Cognitive Revolution, which saw the birth of fictive language and the beginning of history. The Agricultural Revolution sped it up about 12,000 years ago. And then, the Scientific Revolution, which got underway only 500 years ago, gave humans the unprecedented power to conquer the land and oceans and may well end history and start something completely different. 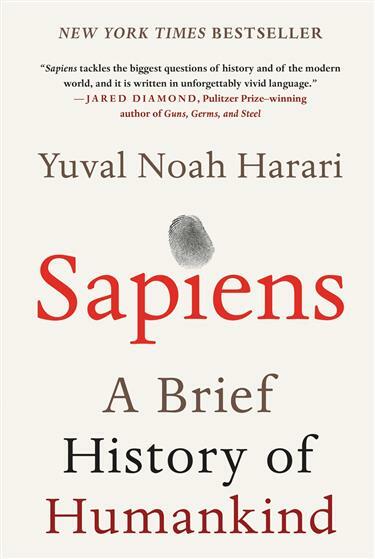 In “Sapiens,” Harari writes a brief history of how humans conquered the world, thanks to their unique ability to believe in collective myths about gods, money, equality and freedom. The Hebrew edition of his book became the year’s bestseller in Israel and generated much interest among the academic community and the general public, making him into an instant celebrity. The book has been translated into 30 languages, including English, Spanish and Chinese. Four years later, Harari wrote “Homo Deus” in which he compels us to look ahead. “Given our 20th-century accomplishments, we are acquiring the ability to design not only the world around us, but also ourselves. Where is this leading us, and what do we want to become?” he asks in “Homo Deus," which gives a glimpse of the dreams and nightmares that will shape the rest of 21st century. According to Harari, we will see far more drastic development in the next 100 years. The critical point will be around two inventions — the bio-metric sensor, which is already being developed, and some kind of inter-brain-net. “I think both process will occur side by side ... simultaneously,” says Harari. “In the next 10-20 years, people will begin to wear bio-metric sensors all the time. You will have sensors constantly collecting data of what is happening inside your body and inside your brain, and feeding these data into computer algorithms. Harari, who was in Shanghai for the first time, was received like a rock star. The Chinese translations of his books have sold more than 1 million copies. Tech-savvy youth of China are amazed, as well as perturbed, at terms such as genetic programming, cyborg, inorganic life and home dues — which are meant to upgrade humans into gods? But can we really be satisfied or “live happily ever after” with all these god-like new technologies? Harare says there will be many opportunities as well as dangers as we merge humans and AI. One particular danger, he foresees, is a small elite class of super humans, while the majority of them will be clubbed into a new useless class in almost exactly the same way as the Industrial created the urban proletariat in the 19th century. Another danger from these technological powers will be the destruction of the ecological system such as climate change and global warming. 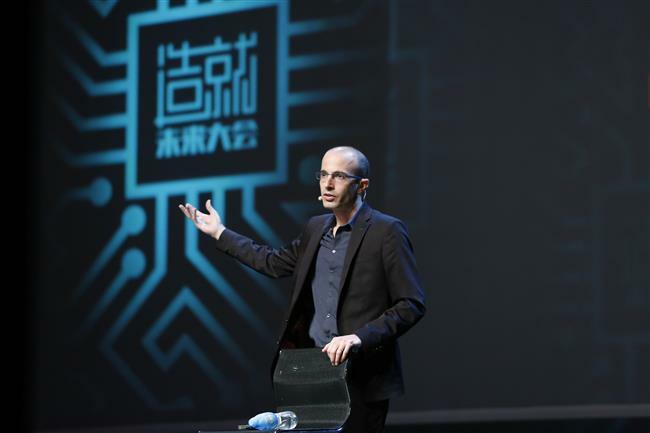 “Climate change in the 21st century may serve the same purpose, or may act in the same way as big wars in the 20th century — to accelerate and not to slow down technological powers,” Harari warns his Shanghai audience. “If you don’t like some of the possibilities that I’ve talked about, you feel afraid of the possibilities that I have outlined, you could still do something about it,” he suggests. Q: Do you reject new technology, such as the wearables or smartphones? A: I don’t resist new technology. I don’t think you can stop the march of technology, because technology has so many advantages. I think we should control the technology and use it for our purposes, instead of being controlled by it, and being used by it for its purposes. For me as a scholar, one of the dangers now is that people are flooded with too much information, and they don’t have the peace to tell the difference between what is important and what is unimportant, to take all the information and make a meaningful picture of the world out of it. So in order to maintain my peace and attention, and the ability to focus and go deeply into the subject, I try to limit the flood of information, or the irrelevant information. One of the ways to do it is to stay away from the smartphone. Q: Do you think computers or AI will replace knowledge workers in the future? A: It’s going to change the way we create things for sure, but I don’t think computers or AI will be anything like humans in the near future. People are afraid because they confuse intelligence with consciousness. Intelligence is the ability to solve problems, such as doing math or composing music, while consciousness is the ability to feel things, such as pain, pleasure, love or hatred. In humans, intelligence and consciousness go together. We solve problems by feeling things. But in computers, they don’t go together. There is an amazing development in computer intelligence, but zero development so far of computer consciousness. Because of this basic gap, humans should not try to compete with computers in developing their intelligence. We should instead focus on developing our consciousness. Q: How can one stay relevant in the job market, or in the economy in the coming decade? A: People above all need flexibility. It’s not about gaining a particular skill, because nobody knows what kind of job will be necessary in 20 years. If you gamble on a particular skill, you could lose everything. The best thing to do is to develop your flexibility — your ability to keep learning and keep changing throughout your life. One thing we know for certain is that the world of the 21st century will be a world of constant changes. And you will need to constantly learn new skills, and to basically reinvent yourself again and again. Q: What will you do to upgrade yourself for future opportunities or challenges? A: Personally, I devote a lot of time to meditation, to exploring and developing my own mind. I do two hours every day and I go for a long meditation retreat every year. This year I have gone 60 days of fast and meditation. And what I realize from practicing meditation is that I know very little of my mind. I have benefited more from practicing meditation than from any technology that I have encountered so far. As a historian who studies human beings, I think we are rushing too quickly to upgrade our abilities without exploring and understanding the abilities we already have. Humans have amazing abilities, and even today we hardly know them or develop them. I’m afraid in the attempt to upgrade ourselves, we will actually downgrade ourselves. We will lose a lot of abilities we don’t actually even know that we have.